About - Conquer overwhelm and nurture faith for a more joyful life. I am happy you stopped by Blessed Catholic Mom. My name is Mary. I am a wife to Alex, mother of five children ages 9-19, and researcher of ways to make life easier and bring more joy and peace into our everyday lives. I strive to live my life as a faithful follower of Christ and His teachings. Welcome to my online home! I hope you find something here of value to you. 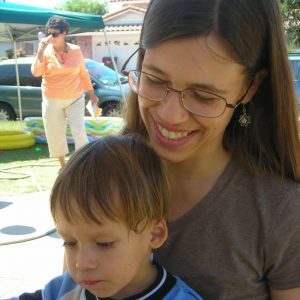 I started Blessed Catholic Mom to help and inspire moms like me who often feel stressed-out and overwhelmed with the responsibilities of raising a family and who also desire to be closer to God. “How am I going to get through today, let alone the next several years? I don’t know if I can do it,” was what I thought and felt when our older kids were very little. 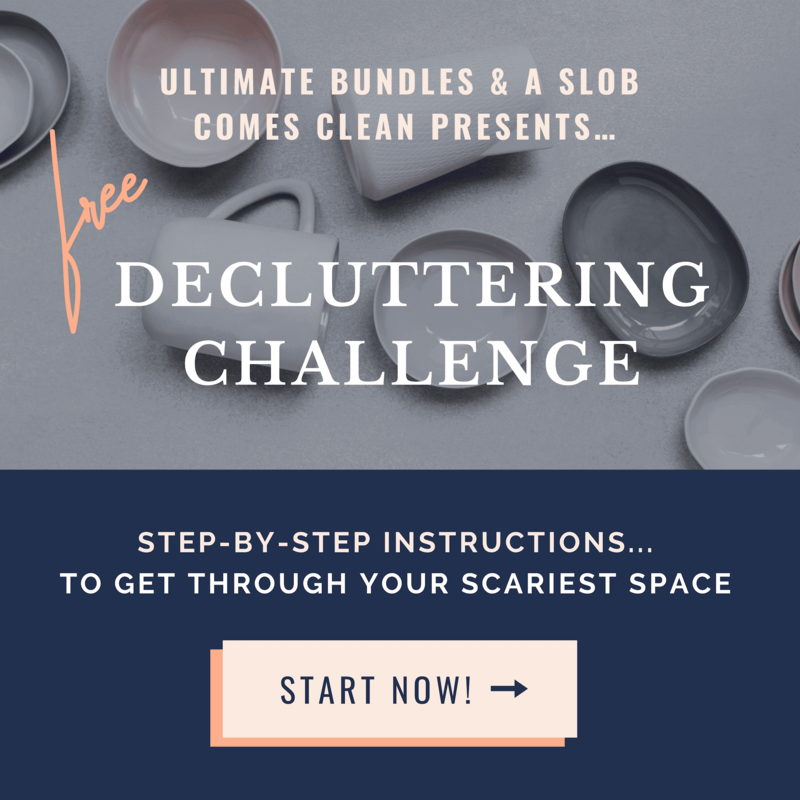 I felt overwhelmed and panicked that I would never get it all together. Well, I still feel that way more often than I’d like to admit! And my faith life? My daily prayers often did not make it past, “Lord, please help me!” Going to weekly Mass was usually an adventure, even before we got out the door, hopefully on time. When we had two children, I called a friend of mine and asked her, “How do you do it? I feel like I’m failing. Am I ever going to figure this out?” She empathized with me, encouraged me, gave me advice, and prayed for me. She also reassured me that our kids would get older and things would get easier. I knew then I had someone on my side; I did not feel so alone anymore and I had hope again. I want to be that friend for you. Since that moment which I remember so well, we have had three more children, begun the adventures of homeschooling and parenting teens, and dealt with many more joys and sorrows. This is life. I read once that life is a gift God gives us. What we make of our lives is our gift back to God. I desire for my gift to be wonderful. Some days I think it is wrapped in crumpled paper, or even unwrapped, hidden in a closet somewhere and I am hoping God won’t ask me where it is. But then, I remember who God is. God is loving, faithful, and true. He gave us His holy Word and His holy Church to lead and guide us, to comfort and inspire us in this life that He gives to us. He is with us every step of the way. We can fully rely on Him no matter what. I hope this blog will help and inspire you in your vocation as a wife, mother, and disciple of Christ. I hope we will journey together as we figure things out day by day, even minute by minute. I hope we will journey together to find peace and joy in our lives, in our homes, and in our hearts. May we rely on and trust in God and His plans for us. You are in my prayers. My goal is to provide practical tips to help in the day to day responsibilities of life. One of the tools I created to help me and I hope will help you is the Daily Planner sheet. If you would like a copy for free, just subscribe and I will send it to you via e-mail. This will also put you on my e-mail list, so you will receive a weekly newsletter and all the current information about Blessed Catholic Mom. I would love to hear from you! If you have any questions or comments to share, you can contact me through the form below. A note: I am just a regular person wanting to live my life for God and to follow Him. I am not a trained counselor or theologian. My reflections here and elsewhere on my blog are my personal reflections about my faith life. I hope they inspire you to dive deeper into learning more about our faith and to develop a deeper relationship with our Lord.